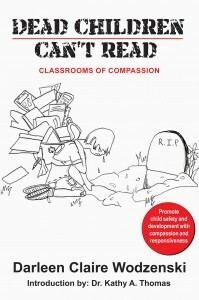 Dead Children Can’t Read: Classrooms of Compassion – Orchard Human Services, Inc.
Join us in exploring the relationship between forced academic focus on developmentally or emotionally fragile children – and the risk of bullying, victimization and school violence; depression and mental health disorder; as well as self-harming and suicidality. Investigate a new paradigm for education that places the mental health and developmental needs of the child at the front of the class. 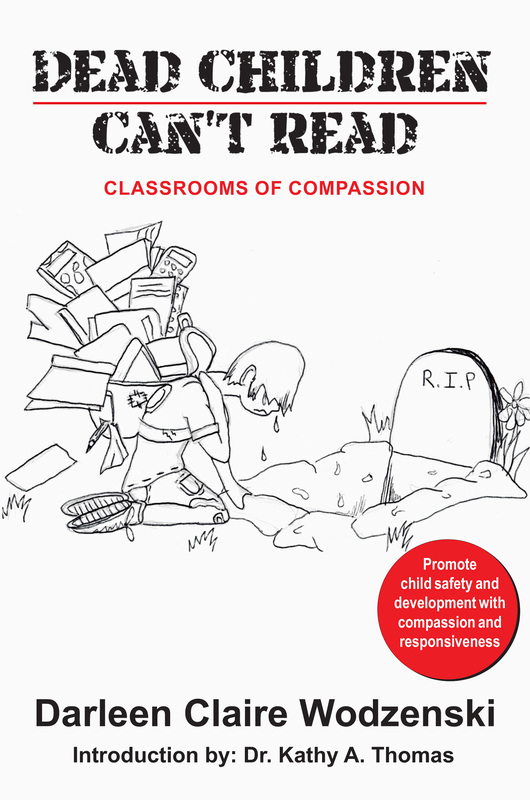 This book is a must-read for parents whose children are struggling with developmental, behavioral, or mental health issues … and feel overwhelmed by the academic pace and focus in school. Children of all ability levels may be adversely affected by challenges related to such factors as behavior challenges, illness, loss of loved one, trauma or abuse, developmental disorder, learning problem … and so much more. When such a challenge arises, children sometimes lose their ability to keep up with the academic pace of the classroom … failure to address such situations can lead to serious consequences and potential danger for the child and even his or her peers. The book raises important issues about the true developmental needs of children with sensitivity and insight. The author, Darleen Claire Wodzenski, is an education and mental health professional who focuses on issues related to childhood learning and development. Introduction by Dr. Kathy A. Thomas, who specializes in the areas of Educational Therapy, Juvenile Justice, and Special Education. You may order this book in several places, depending upon the format you prefer. A Kindle version is available at Amazon while a PDF version is available here at Orchard Human Services by clicking on the button below. Important Notice: After you checkout with Paypal (whether you use a Paypal account or use a credit/debit card or bank account) you will be directed to a “Receipt” page from Paypal … at the BOTTOM you will see a link for “RETURN TO MERCHANT”. Please click on the “RETURN TO MERCHANT” link on the bottom of the Paypal receipt page … and you will be directed to a special page with a link to download your PDF of the book.